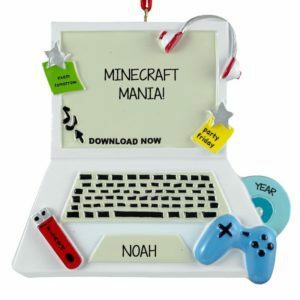 It is nearly impossible to keep on top of what kind of video game systems the kids like. How about which game is their favorite or most popular? 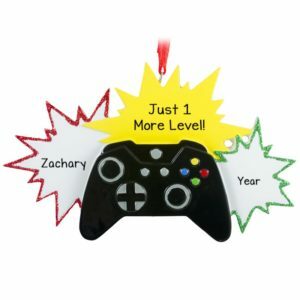 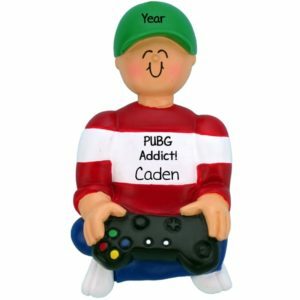 Personalized Ornaments For You takes the guess work out of buying the most up to date and trendy keepsakes for the gamer on your list. Our tween & teen consults are sure to let us know which ones are hot and which ones are not! 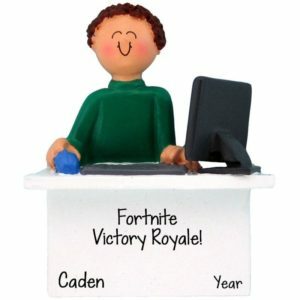 Many video game inspired customized video game Christmas ornaments can be found here in this category. So whether they love their Playstation, Wii, iPad, Tablet, desktop or Nintendo, you’re sure to find it in our best selling video game category. 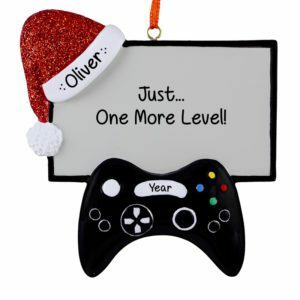 Each decoration for gamers will be hand personalized by one of our skilled writers. Some video game decorations can be further customized by choosing hair & skin color for both girl and boy players. View our on-line selection now!